Absolutely not. All Reds fans in Vancouver are welcome, regardless of membership status with LFC Vancouver. If you are here on a vacation or visit, you are more than welcome. Twice a year, LFC Vancouver can apply for a limited number of tickets to specific games. 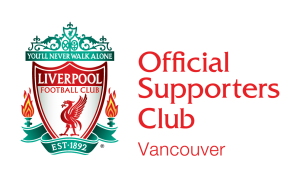 We don’t have our own supply of tickets to give out, and can only apply on behalf of LFC Vancouver members who also hold a Liverpool FC Official membership (fancard). That said – some of our members have season tickets and other sources of tickets that go spare from time to time, so the best thing to do is come to the pub and meet people; someone may be able to help! We watch them at the Butcher & Bullock pub, 911 West Pender, a short walk from Waterfront or Burrard Skytrain stations. There is no formal seat reservation system. Long standing members who have been to many games and who use the pub very frequently are often given table reservations by the pub staff. We encourage fans to talk to other fans – if you see an empty seat or two on a reserved table – Ask to join the table – It’s a great way to get to know fellow Reds and build the sense of community within the club. For special events such as cup finals – LFC Vancouver will work with the pub to reserve seats for those fans who attend games at the Butcher & Bullock regularly.